Landlords and property managers, do you know who you are renting to? There are far too many cases within the legal system pending due process, because their tenants weren’t properly and thoroughly screened to validate their past history. The result of the legal process and fees to evict someone from your property can be very time consuming and costly to you. How do you collect for damages done to your property or monies due to you? C U CLEAR investigates several factors, including rental history, credit history, criminal history, judgments, liens, evictions, and income (employment). We contact and verify the management or the owners of the prospective tenant’s previous places of residence and obtain all creditable information needed for you to make the right choices. C U CLEAR then compares the results of the screening to our client’s rental regulations to determine if a person qualifies to sign a lease, and forwards a recommendation to our client. For example, one regulation might be that the tenant must earn three times the rent amount per month. The rental regulations must be in compliance with state and federal laws on fair housing. 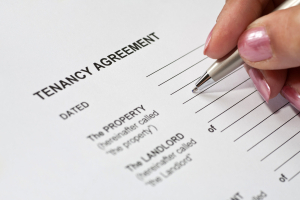 The purpose of tenant screening is to minimize risks to the property management and to other tenants. By checking a potential tenant’s rental history, for instance, management can find out if a potential tenant has had disputes with other management, was consistent with payments, maintained the rented property, and interacted well with other tenants. By checking credit history, the management can decide if the potential tenant may be a financial liability. Our tenant screenings can assist in eliminating those prospective tenants that are not within the standards of renting from you. As a property owner you should take every step possible to ensure that your potential new tenants are properly screened to protect your property investment.